A sparkly brown 2019 Acura MDX Hybrid landed in front of my apartment today, and after driving taking a lap around the neighborhood to find a parking spot I’m surprised to report that I already have a lot of thoughts about this car. What would you like to know while I shake it down over the next seven days? My first impressions of the MDX are that it’s significantly cushier than a Honda Pilot, and the infotainment system is almost insultingly easy to use. More on that later. I might actually be a fan of the controversial two-screen situation; the interface is very intuitive. Resolution’s disappointingly poor, though. 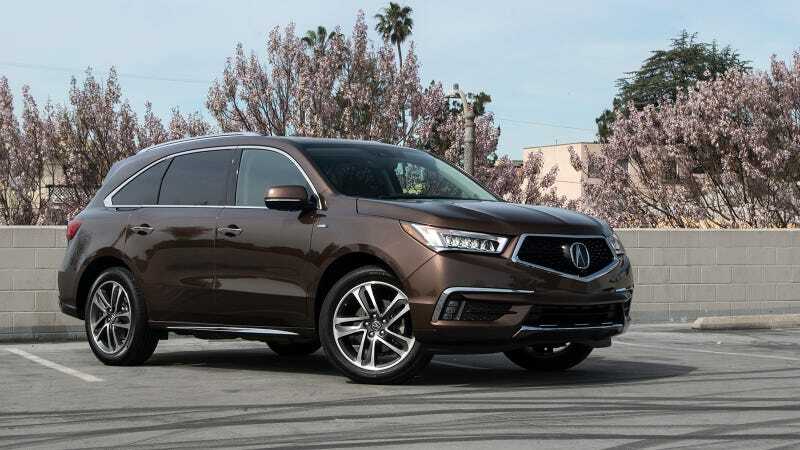 We published a review of the 2019 Acura MDX A-Spec and got pretty comprehensive impressions of what that thing is like to put a lot of miles on, but now I am hoping to focus on how much efficiency I can squeeze out of the Hybrid in Los Angeles traffic. Get your questions in and I will aim to answer them in the write up!